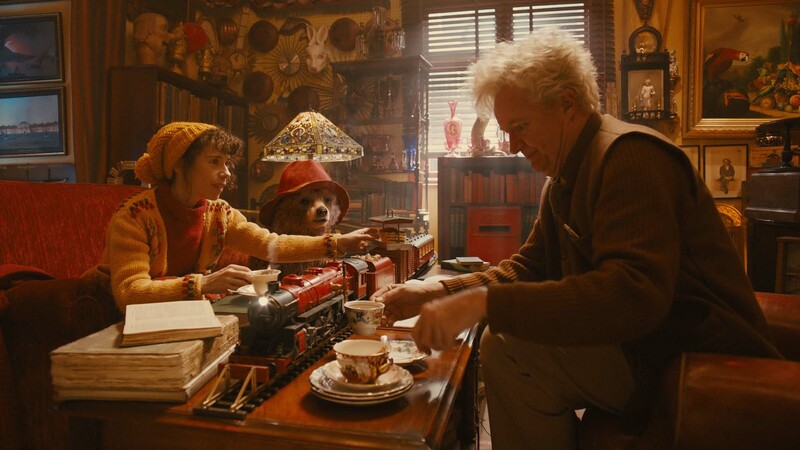 Six Reasons We’re Excited For Paddington! For a bear who’s now officially over the age of retirement, Paddington is looking remarkably youthful these days. And he’s about to delight a whole new generation of kids with the release of his big screen debut, simply titled Paddington, on November 28. The film stars Hugh Bonneville and Sally Hawkins as Mr and Mrs Brown who find Paddington at the train station that gives him his name, as well as Julie Walters as the Browns’ housekeeper Mrs Bird, Doctor Who himself Peter Capaldi as neighbour Mr Curry, Nicole Kidman as new character, Millicent, the head of taxidermy at the Natural History Museum and Ben Whishaw who’ll be giving our hero a voice. Everyone loves Paddington don’t they? The small bear from Peru with a love of marmalade sandwiches and a nose for trouble. For those of us of a certain age, our introduction to Paddington’s world was through the BBC’s animated series, voiced so brilliantly by Michael Hordern. 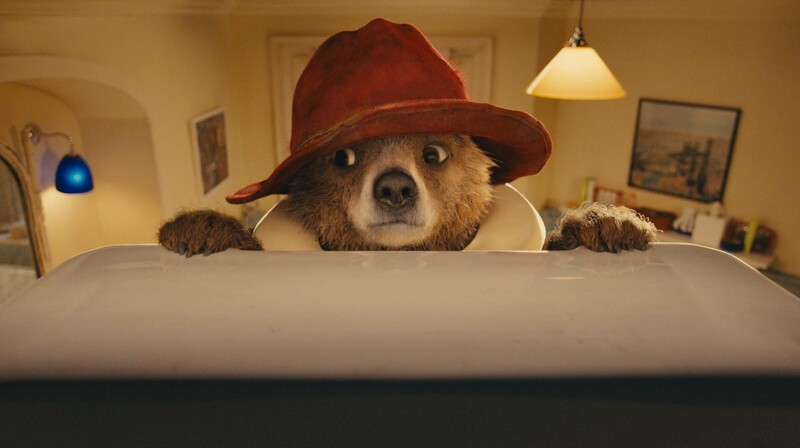 I remember being absolutely transfixed by the animation and it’s great to see Paddington being brought into the 21st century thanks to the use of CGI in the new film. From the three clips I saw, the animators have done a cracking job – this Paddington spends most of his time sans his duffle coat so you see every ripple of the London wind on his fur. When the film was first announced back in 2007 the producers said it wouldn’t focus on any one of creator Michael Bond’s tales, instead the film will ‘draw inspiration from the whole series’. Of course you can’t really do a Paddington film without explaining where he gets his name from and one of the clips featured the first time the Brown family properly meet the little bear as he’s busy devouring a large cream cake and having a slight mishap with some ketchup. One of the differences in the film is that the Brown children aren’t the same age, Judy is slightly older and so she thinks Paddington is embarrassing. 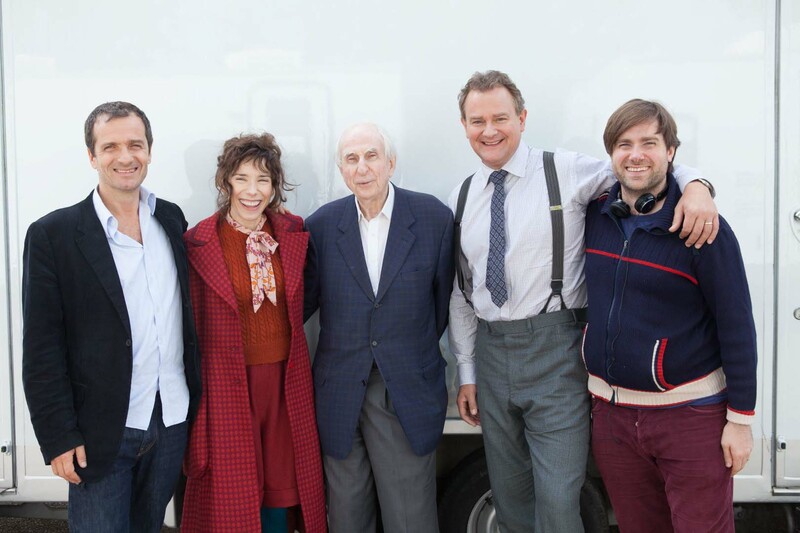 The film has some great British talent among its cast including Bonneville, Hawkins, Capaldi et al but there’s also Jim Broadbent as Paddington’s friend Mr Gruber as well as Matt Lucas, Keyvan Novak and Matt King (Peep Show’s Super Hans). And then there’s Nicole Kidman as the taxidermist with sinister intentions. One of the clips we were shown was what I assume will be Millicent’s introduction to the story – complete with thunder and lightning – and it looks like she’s going to have lots of campy fun. If you’ve seen the trailer then you’ll know the story is going to feature lots of broad comedy – this is a family film after all. So from Paddington sticking a toothbrush in his ear to squirting an unsuspecting cafe-goer with ketchup there should be lots here to keep the kids amused and raise a laugh from even the most hardened of hearts (including Mr Curry!). We all know Paddington has a great ability to get himself into trouble even when he’s trying to do the right thing. 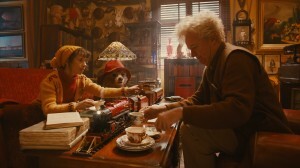 The final clip we were shown featured Paddington trying to give back a dropped wallet and involved him bombing through Portobello Market on a skateboard whilst wearing a policeman’s hat (complete with flashing blue light), hitching a ride from a London bus – whilst still on the skateboard, and flying over London’s rooftops. The action sequences look fantastic and if that’s just a taster of the action and adventure we can expect with this film then it certainly managed to whet my appetite. It’s not often a producer warrants a reason for excitement but this film is produced by David Heyman – he of Harry Potter fame. With Heyman shepherding another beloved book to screen I think we can all rest assured Paddington is in safe hands. So from what I’ve seen it looks like Paddington is about to find a whole new legion of fans with his big screen debut. The big kid in me can’t wait to see the finished film! Paddington is released in the UK on 28th November 28th 2014.